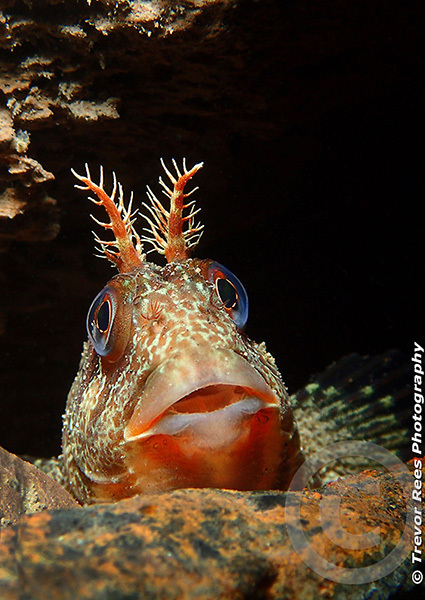 A Tompot blenny (Parablennius gattorugine) from Trefor pier, Lleyn, North Wales. This charismatic little fish was poking it's head out from underneath the pier and happy to have its picture taken. A pleasing capture that was my highest placed entry in this year's competition - Voted 'Runner Up' in the Compact camera category.